President Ram Nath Kovind and Prime Minister Narendra Modi greeted the nation on Monday on the occasion of Janmashtami. 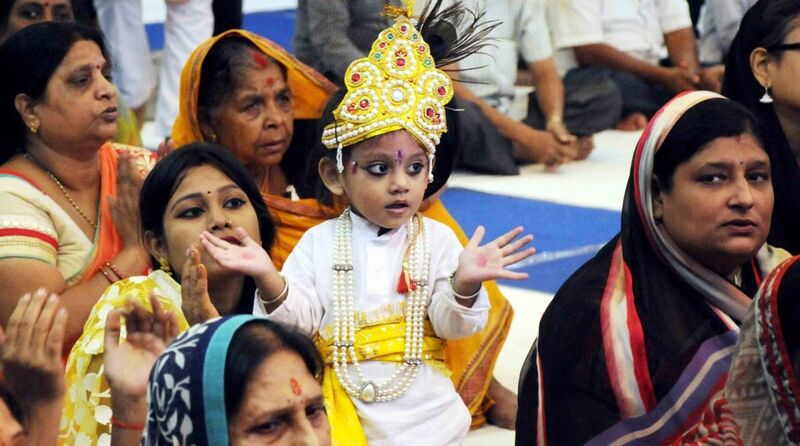 Janmashtami, the birthday of Lord Krishna, is celebrated with great pomp and fervour across the country every year. The eternal message bestowed by Lord Krishna in the Bhagwad Geeta to perform our duties with sincerity without attachment to results has been a source of inspiration for entire humanity. Famous sand artist Sudarsan Pattnaik wished people on the occasion in his usual style, by displaying his sand arts depicting Lord Krishna. Several chief ministers, ministers, other political leaders, sportspersons and celebrities from the film fraternity greeted the nation on Janmashtami.